I hope you enjoy our new website. Please check back for more news and events. JJ’s Concrete is certified by the National Precast Concrete Association (NPCA) and INDOT approved, which means our manufacturing plant operates at the highest standards of production and quality control. We fulfill the needs of both residential and commercial projects with our extensive line of concrete products. 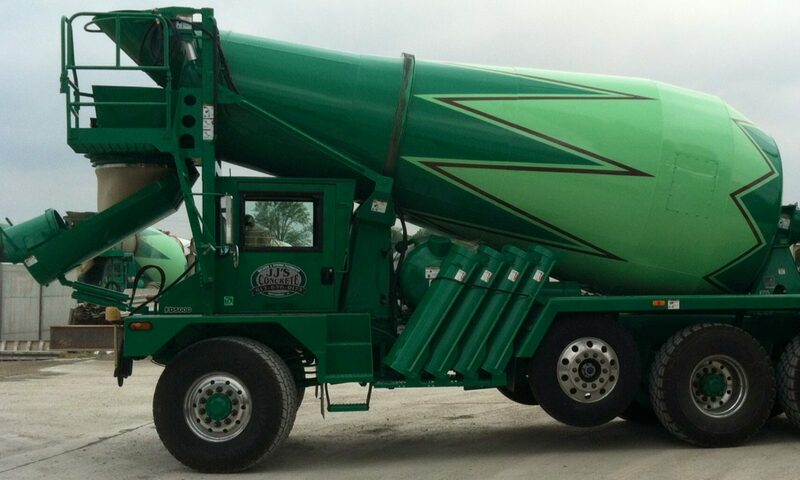 Family owned and operated since 2009, JJ’s Concrete offers the right mix of old-fashioned family values, unmatched customer service and first-rate products to meet your demands. At JJ’s Concrete we pride ourselves by supplying our local and surrounding areas with quality concrete poured to suit your specific needs. JJ’s Concrete offers all types of concrete for poured floors, basements, garages, patios, porchs, poured concrete walls and retaining walls. Call us to help you customize all your concrete projects. With colored concrete the creative options and color choices are endless, making it possible to achieve the perfect look. Colored concrete can transform a room or patio from plain to spectacular. Colored concrete can be used to simulate the look of brick, flagstone, pavers, or tile. Not only is concrete coloring a beautiful design option, but it is also affordable and compatible with both new and existing concrete. Colored concrete can be paired with other concrete finishing techniques to create a striking affect. These techniques include broom finishing and exposing of aggregate. Broom finishing can create shadow effects, “swirl” and “fan” patterns on colored concrete. Exposing of aggregate gives the concrete a natural textured look by letting the stone or gravel in the concrete show through. Looking for more information concerning our concrete products? Please fill in the form below and we’ll get back to you as soon as possible.